I am a 30 something feminist with a master's degree. I also chose to stay-at-home with my kids. Right now my teenage self is cringing, so are some of the people probably reading this post. Before explaining my main point, a little background info is in order. I grew up with a mother who was a giant feminist. I'm pretty sure she actually did burn her bras and was very vocal about her opinions. It didn't help that I grew up in Seattle and learned very young that strong outspoken women were awesome and should be appreciated. By the time I was a teenager I had decided that I would go to college, find a great job and excel in my field. This also entailed not getting married or having kids. The thought of being married, much less being a stay-at-home mom was something I thought was the opposite of being a feminist, my mother had raised me to achieve all the things that she hadn't (college, a great job etc). My father thought that I should do whatever I wanted, that no boundaries should stand in my way. I pretty much did exactly what I set out to do. I started a job at 17. It was supposed to be a summer internship, it turned into a 7 year job that helped to pay for school. I went into a field of geography that was dominated by men, I was the only girl in many of my classes. I excelled and was content. Then I moved to West Virginia and met my husband. He challenged everything. Not only was he smart, but he called me on the things that everyone else was to afraid to. And I started to change. I realized that my life was about choice, my choices not someone else's. Two years after getting married I decided to be a stay-at-home mom when I got pregnant with my oldest. I no longer saw staying at home as something to be settled for, but rather something that I could excel at. And I'm good at it. I still get people asking me why I stay-at-home with so much work experience and a degree. Don't I feel like I'm missing out on something? Honestly, I don't. I have experienced both sides and decided on the choices that are best for me. And I'm still a proud, smart and overly educated feminist. I am a big smoothie fan, I drink one most days for breakfast. They are a nice way to get protein in the morning and I can drink them on the go to drop my oldest off at the bus. 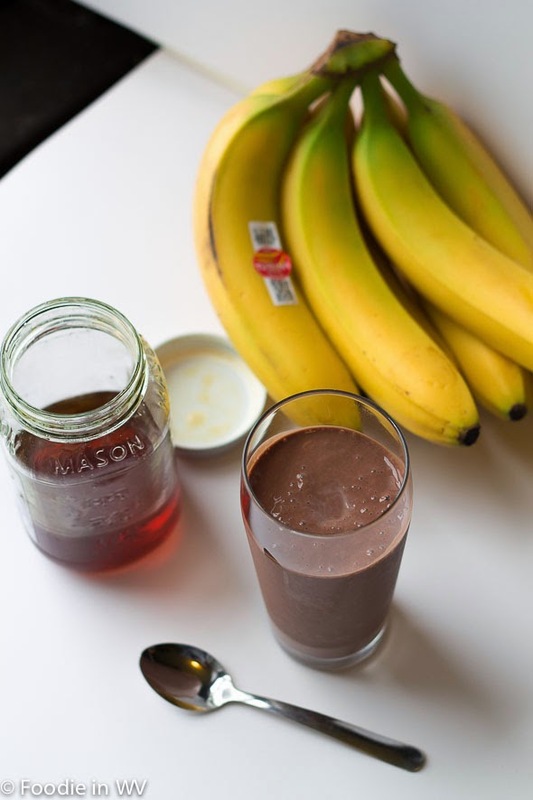 For the last couple of weeks I have been making a new smoothie recipe for Banana-Cocoa Soy Smoothies from Eating Well magazine. This recipe has 5 ingredients. It takes 1 hour of total time (including freezing), 5 minutes of which is active and makes 1 serving. I did make a few changes to original recipe. First, instead of soy milk I used almond milk. I prefer almond milk and it's the normal milk that I drink. Second, instead of honey I used Stevia. If you find that the smoothie is too thick you can add additional almond milk to make a thinner consistency. I really love this smoothie recipe. 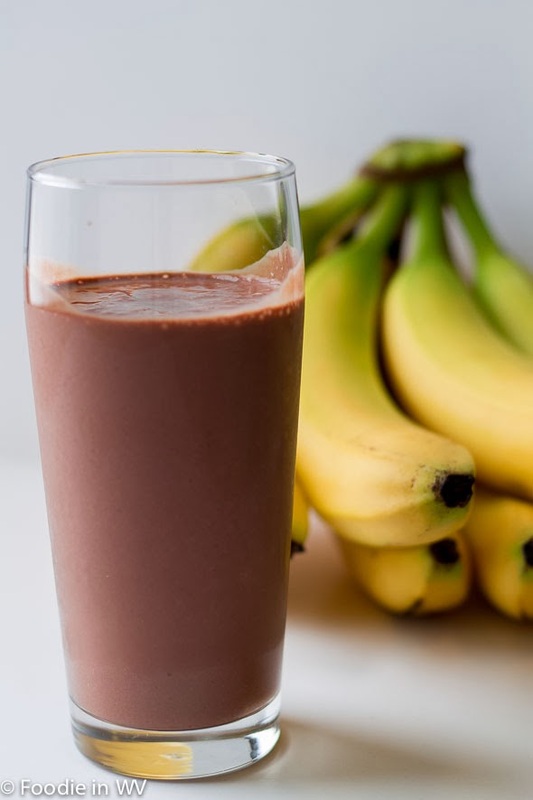 The flavor of the chocolate and banana together is delicious. If you aren't a big chocolate fan you can reduce the total amount down to 1 tablespoon. I prefer the recipe as is since I love the taste of chocolate. It's a nice way to start the day with 17 grams of protein per serving! 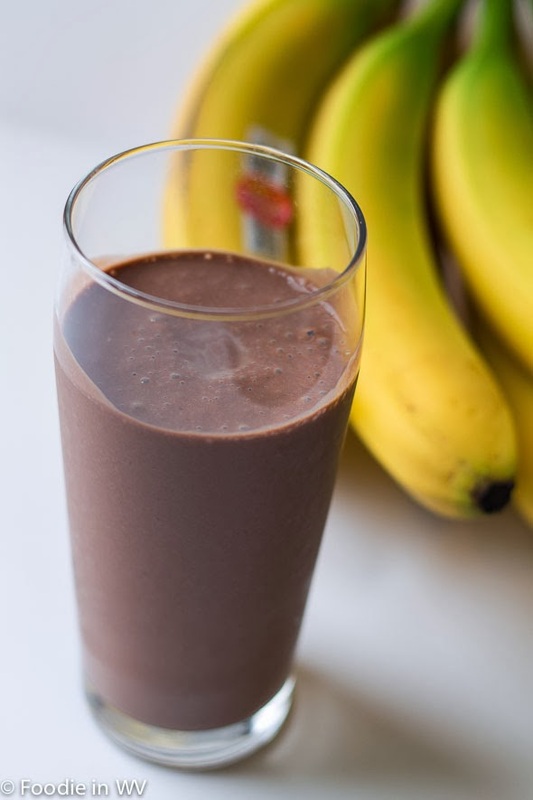 For the recipe go to Banana-Cocoa Soy Smoothie. The smoothie sounds good, I like the addition of Tofu. I am very lucky I agree :) He has always supported whatever decision I make. When we were in grad school I was the one working three jobs, while he just went to school, so it all equals out :) The tofu in the smoothie is really good! It's great that your husband is so supportive of you. I think things change when we have kids and we do what is best for them. 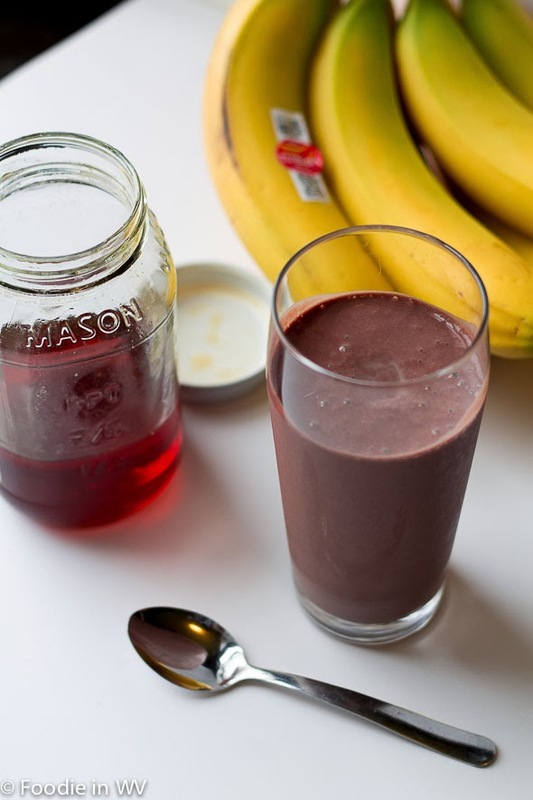 I did a chocolate banana tofu mousse before, so I know how delicious this smoothie is. It is very similar to a mousse. If you froze it the consistency would be a lot like mousse. It is so good!! Looks really good and health. I love bananas and chocolate so I am sure I would not mind the addition of chocolate. I am a big banana and chocolate fan also. They are great together! Not a lot of people figure out what they want to do when they "grow up". Good for you and knowing what you want and having a supportive husband! Have a great weekend! I do have a very supportive husband, which I really do appreciate :) I agree that it takes a long time to figure out what you want in life! I agree. Being happy is always important and something we should all strive for. I have to admit that this sounds yummy. I would never have thought to use Tofu in a smoothie though. I guess you learn something new everyday. As for your choices, that is something that you're happy with. As long as you're happy that's all that really matters and not what people think you should be doing. I wish I had the option to stay at home. I would so switch places with you in a heart beat. The tofu in the smoothie is really good. It's the same as using yogurt, but it has a lot of protein which is a nice way to start the day. Even my husband loves it, which surprised me since he can be hit or miss with healthier breakfast foods. I think there is a tradeoff either way, whether you stay at home or work. Since we live on one income we don't go on far away vacations or visit my family back west. However, if I worked we would be able to have a second car, travel etc that we don't do since I stay at home. Both sides have positives and negatives :) .